SPRINGFIELD, Pa. (WPVI) -- A Pennsylvania ear, nose and throat doctor has been charged with indecently assaulting a 39-year-old female patient by touching her breasts and private areas during an exam. 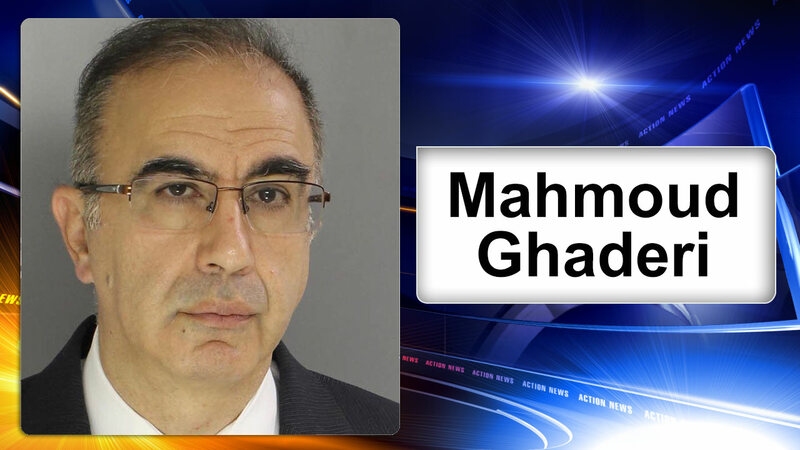 Defense attorney Arthur Donato says Dr. Mahmoud Ghaderi is "well-respected" and will defend himself against charges of aggravated indecent assault and indecent assault stemming from the April 19 exam. The county prosecutors filed the charges Monday after determining there was "no medical reason" for him to touch the woman as he did. The woman tells investigators that Mahmoud complimented her on being young looking and after telling him she had a teenage daughter he responded by saying, "You had her when you were 2?" She says he then touched her improperly after suggesting her gynecologist wasn't properly treating her.